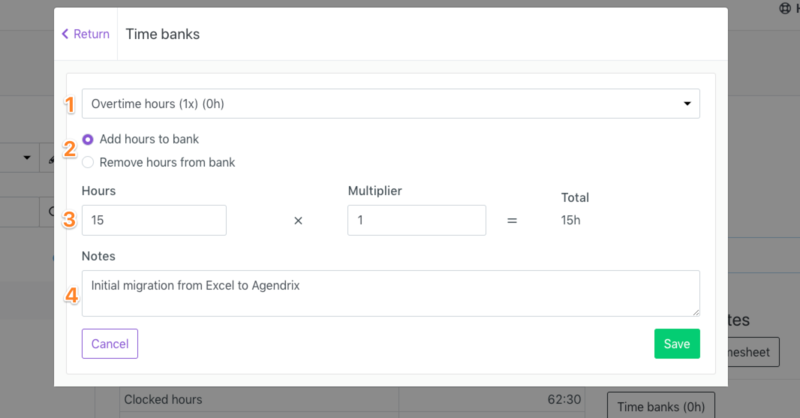 If you have external time banks balance that you would like to transfer to Agendrix, you can manually add hours to your employees' opening time bank balance. IMPORTANT: You must have "Admin" or "Manager" access in order to edit the time bank balance of an employee. Before you can edit the balance, a time bank must have been created by an admin. Each time a manual adjustment is brought on a time bank, Agendrix will log the information for future reference.